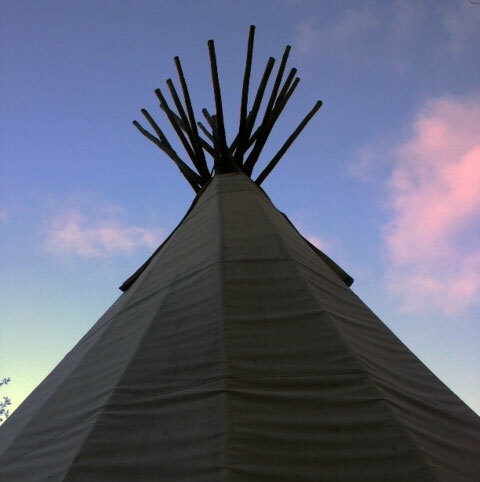 When my friend Carolyn suggested I join her and her family and a couple of other friends at Grand Tetons National Park to give her a proper sendoff as she takes a new job in Washington state, I started looking for a place to stay. The lodges at the park were filled up, and since Jackson Hole is a rather resortish place, the prices for rooms there were beyond my budget. So I went to my new friend airbnb.com and searched. One place looked great, but only allowed multi-week rentals. 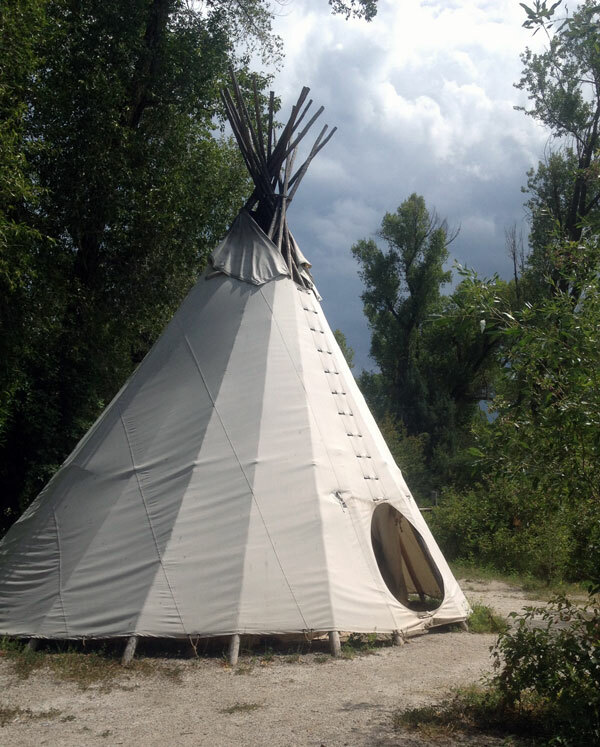 But another listing looked intriguing – a tepee right on the bank of the Snake River in Idaho. Rustic, yes. 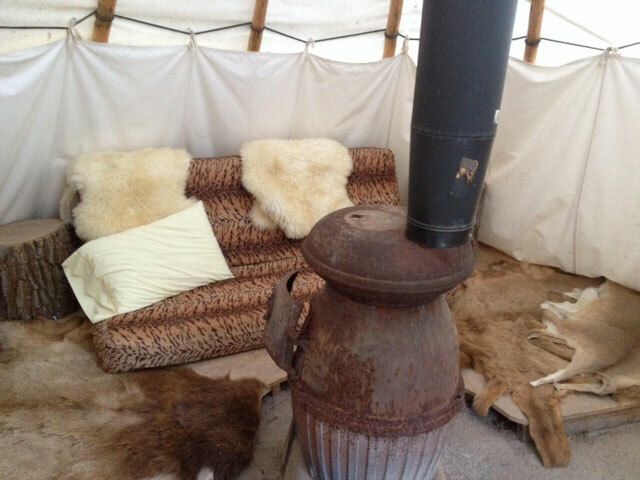 But comfortable, with a futon bed on a wooden platform, a side table with a lamp and a pot belly stove (a US Army relic). Though it was further than I expected (I drove about 50 miles each way to get to the sights in Jackson and environs), it was fun.Yesterday, because things were damp from all the rain the past few days, I lit a fire in the stove and slept warm and peacefully as the wood crackled and the smoke went out the top vent in the structure.